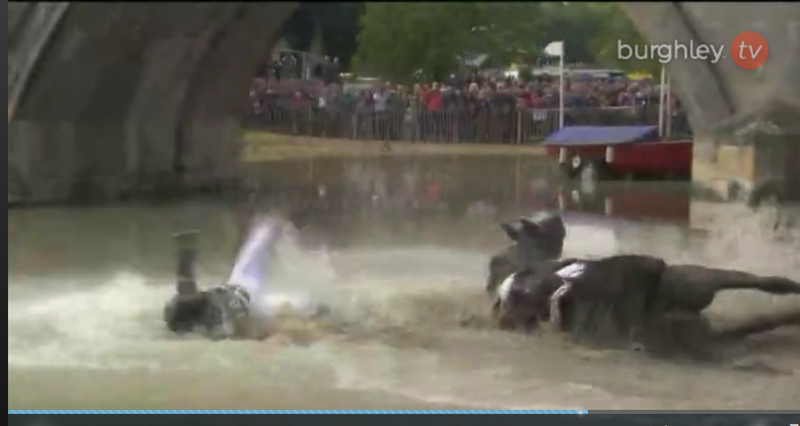 It should come as no surprise that Michael Jung won Burghley. The only small surprise is that it should be on La Biosthetique Sam FBW and not FischerRocana FST, with whom he led after dressage — and who fell in the water less than two minutes into his cross country round! On his first cross country ride, Jung’s mare FischerRocana fell in the water. would win Burghley on his first time out. Second was Tim Price on Ringwood Sky Boy. Christopher Burten was third on TS Jamaimo and fourth on Haruzac. Jonelle Price (Tim’s wife) was fifth on Classic Moet and Sir Mark Todd was sixth on Leonidas ll. Last year’s winner, Andrew Nicholson, was on the sidelines after severely injuring his neck when his horse fell at Gatcombe earlier this year. 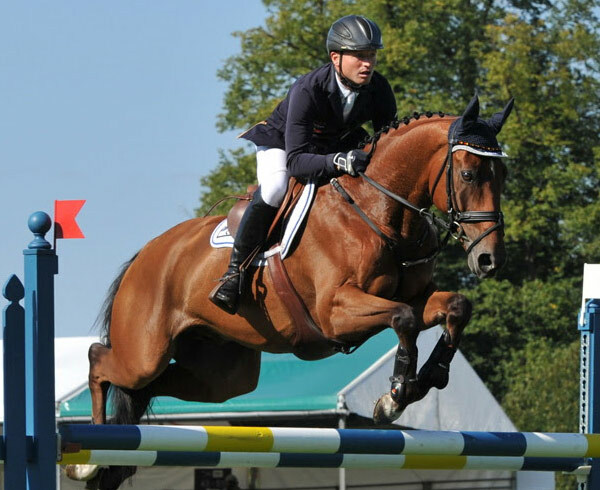 William Fox-Pitt, who shared the lead with Jung after dressage, finished 10th after a self-proclaimed “blonde moment” when he forgot a fence cross country and had to circle back to it. It’s nice to know that even someone as accomplished as he can lose track of the course occasionally! Yes to the blonde moment!